That’s right. My Italian cannibal possession opus Tribesmen is back in a brand-new Black T-Shirt Books edition. Featuring a gorgeous new cover by Matthew Revert, snazzy paperback layout by Scott Cole, and an Author’s Afterword by me, Adam Cesare. The new ebook and paperbacks are right here. If you’re more of an audiobook person, Joe Hempel’s wonderful reading is on Audible. This is the novella that started it all and I hope that those of you who haven’t yet checked it out will go give it a chance. 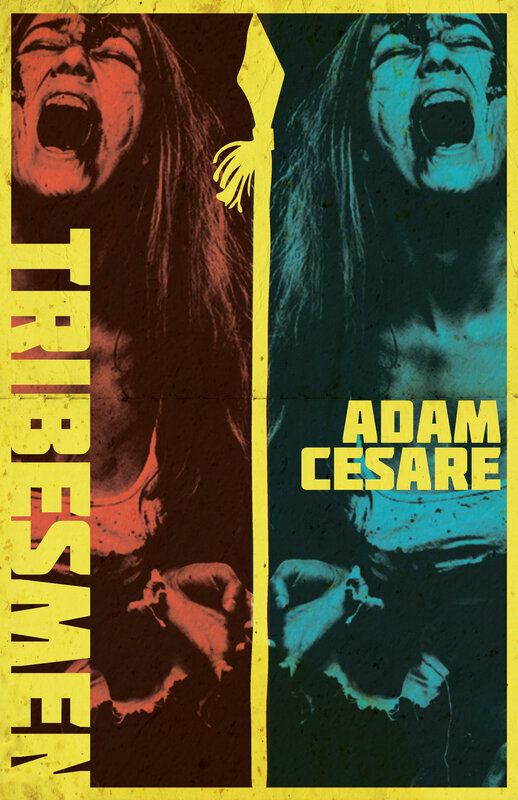 I’m also aware that MANY of you have already read Tribesmen and are like: “Stop blogging me about reissues, Adam. Go write a new book!” You’re not wrong! While I’ve been working on various projects (one of them a new novel! ), I’ve been focusing on bringing out my backlist in these “author preferred” editions, getting them “in house” while I prepare for Phase II of my career. Doesn’t that sound ominous? As with all my books: leaving a quick, honest review on Amazon (Goodreads helps too, but pretty please cross-post your reviews on Amazon) helps me get the word out and does a lot to drive sales. It is immensely appreciated. One last note, I know that a few people who visit the blog are indie authors or associated with indie publishing, so I’ve got to say something quick. If you’re looking for book design, layout, and/or cover services: my buddy Scott Cole has recently gone freelance and would love to talk with you about your projects. Not only an author, Scott’s laid out every Black T-Shirt paperback release. If you own any of these books: you can tell that his work is a cut above the rest. Too often I’m sent books for review where the writing is great, but the author or publisher were like “design schmesign, I can do this myself” and their books look… uh, not great. You can get in touch with Scott through his Twitter, website, or reach out directly to 13visions@gmail.com to inquire about rates. He’s a good author, a good dude, and a master at design/layout. Tell him Adam sent you. 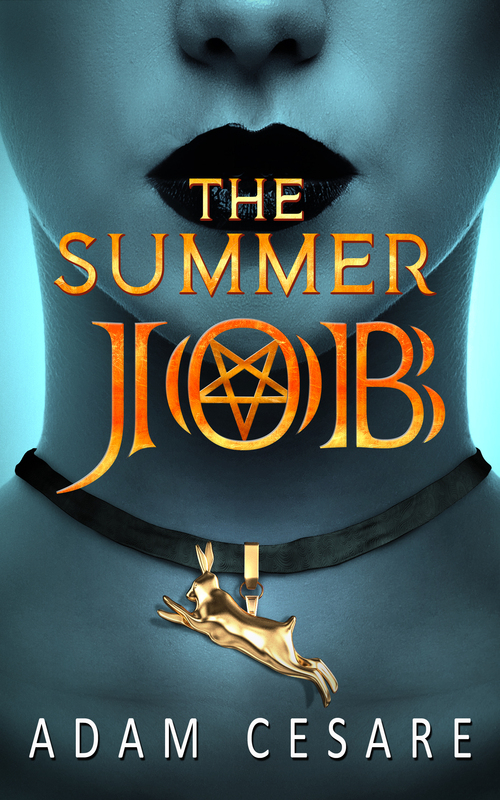 Our Dark Lord, Whispering in Your Ears: SUMMER JOB Hits Audiobook! Hey all! Happy (almost) Halloween! Leaves may be falling, but don’t you wish it was a little warmer? Aren’t you already longing for summer? Well, one of my most acclaimed novels, The Summer Job: A Satanic Thriller, is now beautifully produced audiobook narrated by Stacey Glemboski! I’ve been overjoyed by the response to Matt Godfrey’s readings of Video Night (over 130 ratings and reviews on Audible! Have you left one?) and Exponential. But while those novels were a perfect fit for Godfrey’s sultry baritone, The Summer Job demands a more feminine touch. Godfrey referred me to Stacey Glemboski (much like Con Season, Tribesmen, and Zero Lives Remaining narrator Joe Hempel referred me to Godfrey), who, I have to admit, absolutely leveled me with her performance. While Summer Job has done well, it hasn’t achieved the sales success that Video Night has, and for a long time that’s kind of bugged me. While I’d never say one of my books is better than the other, I will say that The Summer Job feels more personal, a full articulation of the folk horror/satanic panic vibe I was going for. I hope that this audiobook brings the novel to a whole new audience and gives it a second chance at the limelight. And whether it’s your first exposure to the book or you’re revisiting it in audio: I need your help. Buy the book, spread the link far and wide and be sure to leave a quick rating and review once you’ve listened. It’s hard to overstate how much reviews help books like this get discovered. Oh, and one more thing: if you were planning on listening to this book shirtless, maybe don’t. Cover yourself with the official Summer Job T-shirt, designed by creepyguy wunderkind Trevor Henderson. You can grab that here. 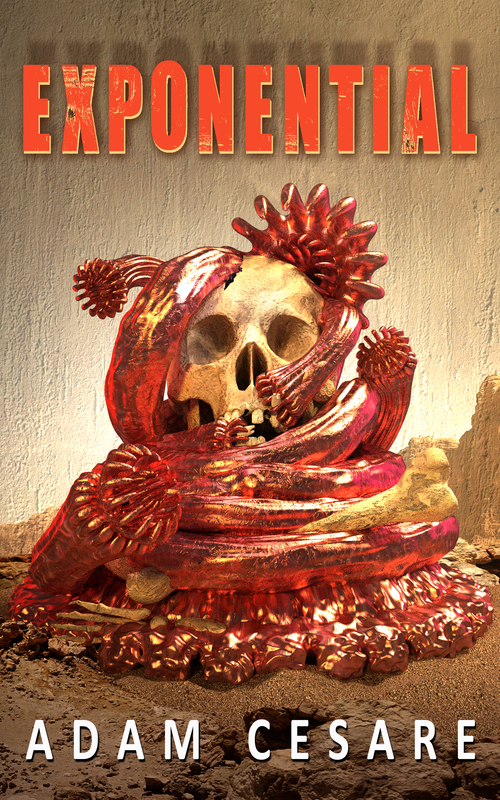 Very happy to announce that Exponential: A Novel of Monster Horror is now a beautiful new audiobook narrated by Matt Godfrey. For the unfamiliar, Exponential tells the age-old tale of a bar full of misfits and losers who must contend with an ever-expanding gelatinous monster if they want to live to drink another day. Since its initial paperback release, the novel’s been one of my most well-reviewed books and I hope that this audio rendition will introduce a whole new audience to this tender piece of monster fiction. This is the second time that Matt Godfrey’s brought one of my novels to life and I think this one may be even better than his incredible work on Video Night. 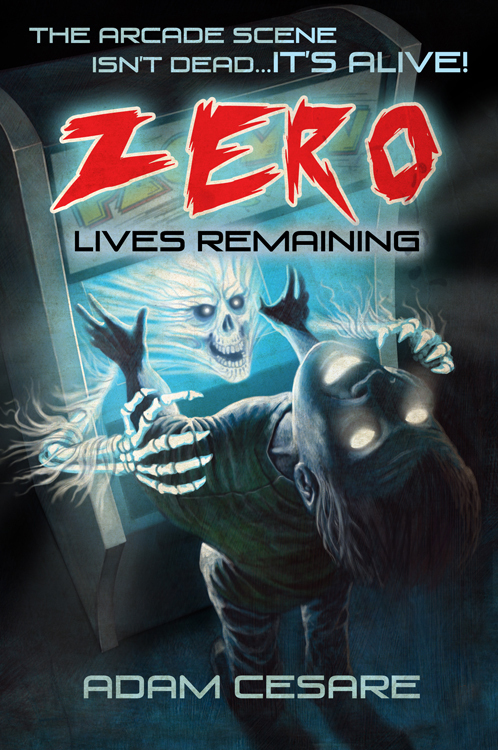 And while Matt’s a stellar narrator, don’t forget that Tribesmen, Zero Lives Remaining, and The Con Season are also available as audiobooks, narrated by the maestro Joe Hempel. As with all of my books, whether you buy and enjoy them via paperback, ebook, or audiobook: reviews are the best way to help more people find them and love them. If you like a book (not just mine, any books, really) please leave a review on Amazon (or Audible, in the case of ebooks). Word of mouth keeps people like me writing and there’s no better feeling than hearing my work is appreciated. If you’ve already read Exponential and are wondering when I’l have *brand new* material available, the answer to that is: right now. I’ve got a short story in an incredible shared-universe collection called Welcome to the Show: 17 Horror Stories – One Legendary Venue. Author and editor Matt Hayward put this thing together and the list of talent on display is unreal and humbling. Being included in an anthology with a great table of contents is one thing, but there’s something a little more special about knowing that all of our stories are linked, are part of a larger whole. There are original stories by Brian Keene, Rachel Autumn Deering, Jeff Strand, Mary SanGiovanni, Bryan Smith, John Skipp, and many more. I’m pleased to share the pages with these authors and my Black T-Shirt Books brothers Matt Serafini and Patrick Lacey. 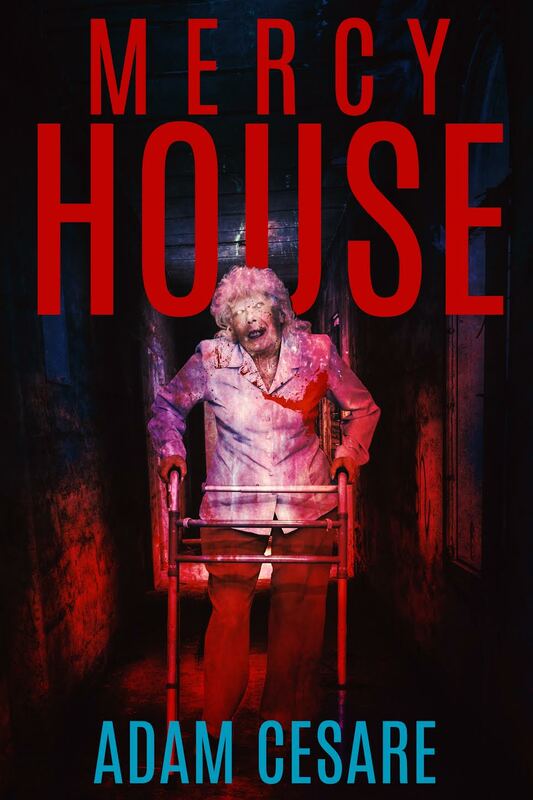 The paperback and ebook are out now from Crystal Lake Publishing and are doing well (as of writing this, it’s one of the best-selling anthologies on all of Amazon). What else is new? Well, not much, busy working on top secret projects and all that, but I did get a chance to talk about my experience at Scares That Care Weekend 2018. And more importantly, got to talk about all the great books, movies, and pins I picked up at the show. You can watch that convention rundown/haul over on my YouTube Channel (but you already knew that, because you’re a subscriber, right?). How’s things? Things are good with me. Finishing up a number of projects that are going to keep me hyped up from 2019 and beyond, but can’t quite talk about any of that yet. I will say that the Video Night audiobook is continuing to slay. I think a lot of that is down to Matt Godfrey’s awesome performance. If you’ve listened to it and could leave a quick review on Audible: we’d appreciate it. But enough about me, this last week there were two big book releases from the Black T-Shirt crew. First is Triple Axe by Scott Cole. 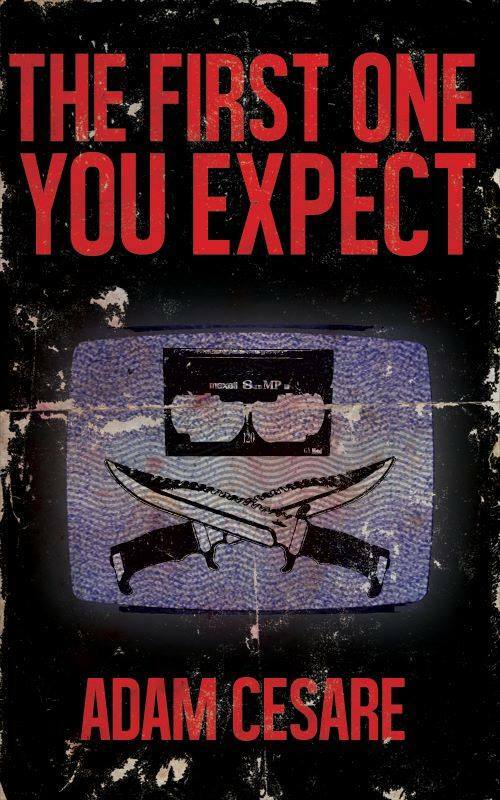 This is out from Grindhouse Press, one of the absolute best cross-genre publishers in the bizarro scene. It’s hilarious and profane and I cannot recommend it more as a weird, mind-expanding slasher beach read. 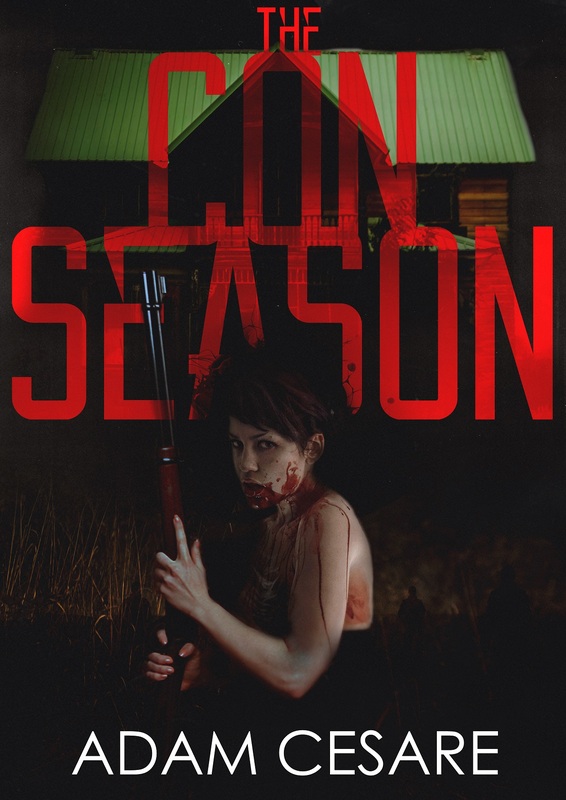 And even though it came out a few weeks ago, we can’t forget to mention Pat Lacey’s horror-movie-themed novel Bone Saw, out now from Perpetual Motion Machine Publishing. So those are my big recommendations while you’re waiting for the next Adam Cesare book to drop (and believe me, I’m waiting too, but the wait’s going to be worth it). Like *all* authors, Matt, Scott, and Pat really appreciate (and most times financially benefit) when you leave a quick Amazon and Goodreads review of their books when you’re done. Probably showing my age here (both how old or how young I am, depending on your perspective), but growing up I had pretty much every action figure, every Zord, every morpher, from the original Mighty Morphin Power Rangers series. Giant robots, teen hijinks, monsters: the show was definitely my aesthetic. Especially since at the same age (and continuing to today) I was a huge comic book fan and it was one of the few places to get a live-action superhero fix. Which is why it’s doubly sweet to have a story in BOOM! Studio’s Mighty Morphin Power Rangers 2018 Annual. The book hits comic shops Wednesday, April 25th. If you’re interested in grabbing a copy, be aware that stores *will* sell out, so call your shop and ask them to hold your book, if at all possible. The annual features five stories that connect to the larger Shattered Grid event that’s been going since Mighty Morphin Power Rangers #25, and it’s a massive crossover arc that features shocking character deaths (and a few shocking alternate universe heel turns). The story I scripted involves the the cast of Power Rangers in Space and was illustrated by the incredible Hyeonjin Kim, with colors by Joana Lafuente and letters by Ed Dukeshire. If you’re a fan of my fiction but not big into comics or the Power Rangers: I still think you’ll find a lot to enjoy in this issue (though I was kind enough to be allowed to play in the Saban Brands’ sandbox, the high-stakes nature of Shattered Grid meant that I got to do some very… on-brand things in my script). But I also have to say: if you’re a comics reader who’s not checking out BOOM!’s Power Rangers line then you’re missing out. Lead writers Kyle Higgins and Ryan Parrot (on the prequel spinoff book Go Go Power Rangers) are creating a user-friendly series that appeals to die-hard fans but at the same time stands alone for casual fans and tells incredibly compelling superhero stories (for example, there’s a standout issue where you meet the failed ’60s Vietnam-era Power Rangers team, great stuff). I’m very grateful to everyone at BOOM! for the opportunity. Please head to your local comic book store and ask for (nay, demand) the issue. Or, you can order a copy (I think) direct from the publisher. Or, if you’re really not into physical media, then there’s always Amazon/Comixology. So, that’s about it for news, aside from the Video Night audiobook (narrated by Matt Godfrey) still selling like gangbusters. Have you picked up your copy yet? Please do, and when you’re done leave a review on Audible and Amazon. We’re closing in on the magical 50 review/ratings number on Audible, and reviews and word of mouth is how both Matt and I keep the lights on. When you’re finished with that, might I recommend some of my other audiobooks (the rest of them narrated by the wonderful Joe Hempel), ebooks, or paperbacks like Zero Lives Remaining, Tribesmen, or The Con Season? Other than that, I’ve been keeping busy with writing the new book (it’s close to finished, any day now), and with keeping my YouTube channel updated with a new video every week. Some recent thumbnails are below, click them to check out reviews for They Remain, Ghost Stories, and a list of reading recommendations you might want to bring to your book club. Aliens Invade Your Ears! Black T-Shirt Books Goes International! Big news! 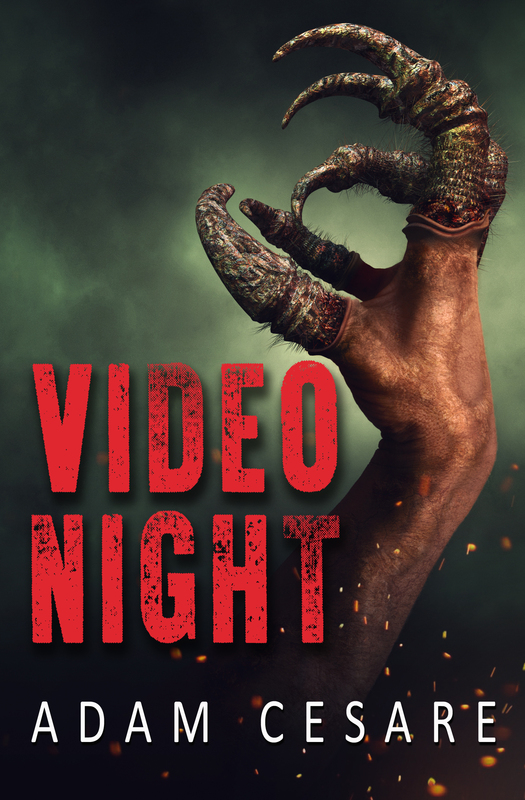 My first novel, Video Night, is now an exquisitely-produced audiobook. Narrator Matt Godfrey (who audio fans may know for his production of Micheal McDowell’s Blackwater) gives an incredible performance here and I am overwhelmed to have such a talent bringing life to a book that’s very near and dear to my heart. If you’ve been holding off on checking out the book, now’s the perfect time to grab it in this new format. Or, if you’ve read the book when it first came out, now’s the perfect time to revisit. And if you’re a “eh, audiobooks aren’t for me” kind of reader, I think this might be the book that breaks you into the habit. As someone who didn’t consider myself an audiobook guy until recently, I have to say that I now LOVE the format. It’s a great way to supplement my reading while I’m doing the dishes or walking the dog. It’s available on Amazon, Audible and iTunes. The OTHER piece of big news is that Black T-Shirt Books has expanded again. Please welcome the amazing Aaron Dries to the family by picking up The Fallen Boys: A Novel of Psychological Horror in either ebook or paperback. Aaron is flat out my favorite writer from the Samhain-era and I’m so happy he’s chosen to release this incredible novel with us. 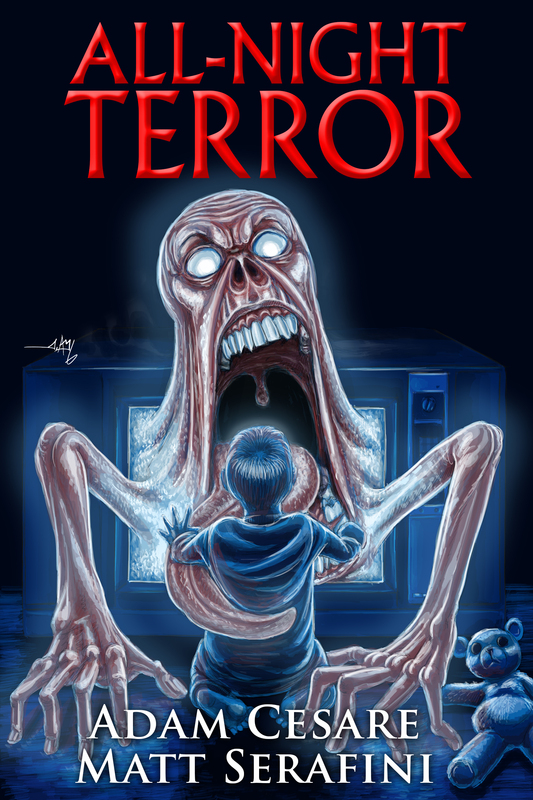 He’s a master of what I like to think of as tragi-horror, his stories imbued with such verisimilitude and melancholy that they all really put you through the emotional wringer while at the same time shredding your nerves. Which is very different from what the other writers in the Black T-Shirt stable do, but it’s good to mix it up, right? As with all Black T-Shirt releases: both The Fallen Boys and the Video Night audiobook will live and die on your support. So please pick up a copy (or help spread the word, even if you can’t commit right now) and then consider leaving each a quick, honest Amazon and Goodreads review when you’re finished. It’s how we make our livings and how we get the word out about the books. Thanks! That’s it on the announcement front. But while I still have you here, have you been to my YouTube channel recently? I’ve got new videos up discussing the virtues of Syfy’s Channel Zero: Butcher’s Block and another one foaming at the mouth over Arrow Video’s new release of Basket Case. Please subscribe and then come join the conversations going on in our (lively) comments section. Hey y’all. Long time no talk. How are you? I’m good. So just wanted to drop a line and say that I’ve been keeping busy with writing (nothing that I’m able announce yet, but these current projects are going to blow your mind), but I’ve also been chipping away on the YouTube Channel and getting new merch set up. Yes, you can wear this stunning art on your body. I’m not going to tell you to buy seven of these shirts so you have one for every day of the week, but that is something you could do. If you like the shirt but haven’t yet read the novel it’s based on, you can do that here in paperback or ebook. Or you can leave a review if you’re feeling super generous. Hope you enjoy, be sure to comment and subscribe to let me know how much you crave to watch me talk into my cell phone camera. That’s it. Quick update. Have a great day! It’s been over a month since I last updated the ol’ blog, but I’ve been far from sedentary. Took a road trip up to Rock and Shock in Worcester, MA earlier in the month and it was just as great as always, even better because Black T-Shirt Books had a huge table with all of our authors in attendance. The Adventure Time Spoooktacular 2017 hit comic shops and seems to have been well-received with both critics and fans of the show (Paste Magazine called it “wildly entertaining” and Nerdist says it’s a “fantastic anthology that Adventure Time fans can’t miss”). If you still haven’t grabbed your copy you can call your local comic store or order direct from BOOM! Studios. And on top of all that (and some top-secret stuff it’s too early to talk about), I’ve been a busy, stammering, bee on YouTube with my Project: Black T-Shirt channel. 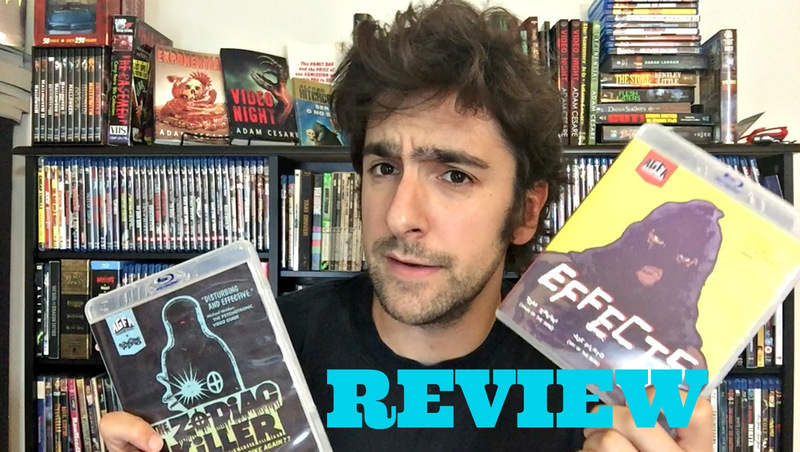 If you’ve missed me giving a tour of my movie shelves, discussing Chucky’s latest massacre, paging through Grady Hendrix new book Paperbacks from Hell, or wanted the festival-circuit heads up on Tragedy Girls, please click over there and binge-watch. Also hit those “like” and “subscribe” buttons if you don’t mind. A few months ago an editor at BOOM! Studios got in touch with me and asked if I would be interested in pitching a story for this year’s Adventure Time SpOooktacular comic book. My response of “Hell yes I would!” broke the email sound barrier. The annual-sized issue focuses on Peppermint Butler, everyone’s shady confectionary valet. 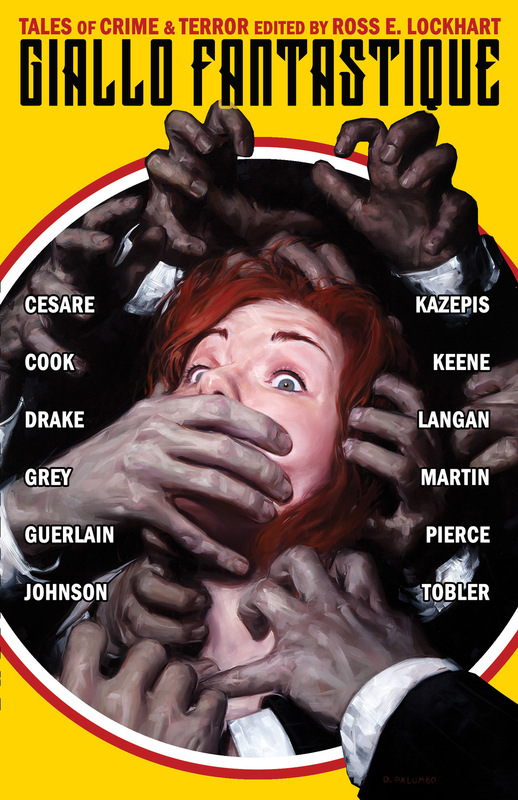 The issue also features stories by Grady Hendrix (the awesome My Best Friend’s Exorcism and Paperbacks from Hell), Nebula and World Fantasy award winner Alyssa Wong (! ), and animator and Lovecraft scholar Chris Lackey. The supernaturally-talented Christine Larsen provided the art for my story and her work truly has to be seen to be believed. Writing for comics has been a lifelong dream and now that I have my first professional comic book story coming out on October 11th, I need your help. If you want to pick up this fine Halloween-themed issue the best way to do that is to go to your local comic book store before October 11th and ask them to reserve you a copy of the Adventure Time 2017 SpOooktacular. Pre-ordering this way helps me/us/your local small business the most. And I’m sure your local comic book guy/gal would love to see you. If you absolutely don’t have a comic book store in your area (really? ), you can order the print edition direct from BOOM!’s website. Or if you prefer digital comics you can pre-order from Amazon/Comixology (which are one in the same now, I think). Not something I usually get to say about my work, but: this comic is 100% appropriate for your kids. And the stories stand alone, so even if you aren’t familiar with Cartoon Network’s Adventure Time (you should be, it’s incredible), you’ll still find something to giggle about. 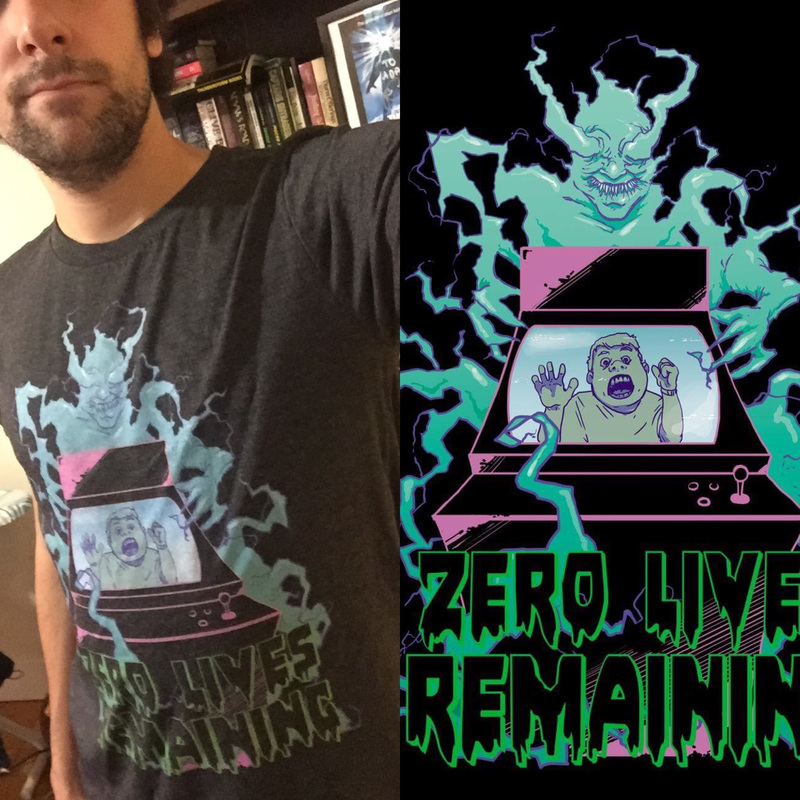 If you’re here because you want ghastly horror and only ghastly horror, you’re in luck because Chris Enterline and I have a new shirt out, this one based on my haunted arcade book Zero Lives Remaining. It and all the other shirt designs we’ve done are now available on Amazon and they look really great in person. If you’d rather not read anything at all, I’ve been hitting the YouTube thing hard and putting up new videos to get people pumped about Halloween. I did one about the best horror films to watch with your kids/introduce them to horror, then one about the recent Blu-ray releases for The Zodiac Killer (1971) and Effects (1980). You can check those out here and by clicking on the thumbnails below. Please don’t forget to subscribe and comment. First off, I made a triumphant return to writing for Cemetery Dance Online last week with an article about the different films to watch while reading The Dark Tower. I encourage you to check that out here. It’s kind of a silly list, but people have been enjoying the discussion in wake of The Dark Tower hitting the big screen. 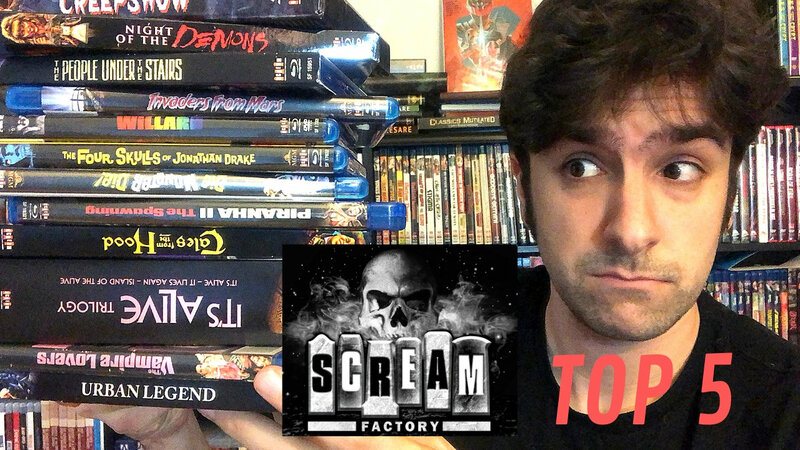 Secondly, because I can’t stop talking about movies apparently, my most recent YouTube video is a rundown of great ’70s horror reissues on Blu-ray. You can watch that here, chime in in the comments, and subscribe if you haven’t. Enjoy! And don’t forget to pick up Scott Cole’s Slices and Patrick Lacey’s A Debt to be Paid! Leave reviews if you can to help support these authors and Black T-Shirt Books. As with all Black T-Shirt releases: these are available in paperback, ebook, and are free to read on Kindle Unlimited.